The shooting of Trayvon Martin has captured the attention of politicians and pundits from across the American political landscape. Inevitably, the controversial shooting and apparent debacle of the justice system is being politicized by both the left and right. As such, there is a very real threat that the Anti-Gun lobby will seize upon the death of the unarmed teen to push for tougher gun restrictions. It must be stated that as of right now it would appear from the available evidence that George Zimmerman deliberately shot and killed an unarmed teen without provocation, and that perhaps the chief motivation for doing so is that the teen was African-American. That being stated, I am one who wholeheartedly believes in the American system of justice and so I do not wish to disregard its “innocent until proven guilty” ideology. As such, Zimmerman’s alleged guilt or innocence is not what this article is about. I firmly believe as Dr. Martin Luther King once said that “the arch of history always bends toward justice.” Consequently, I believe that if Zimmerman did indeed murder an innocent young man he will inevitably face the just punishment of either our justice system or the moral arbitrator of our universe. What concerns me however is the anti-gun lobby that is sure to utilize Trayvon’s death to gain a foothold in the state of Florida. 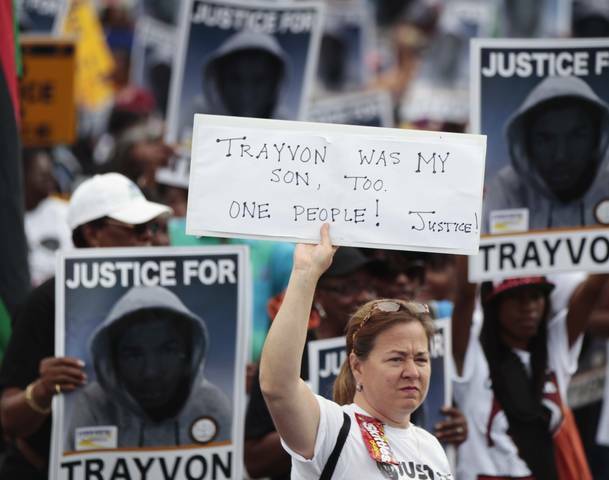 Trayvon’s death at the hands of what appears to be a bigoted imbecile is tragic. But it should not be seized upon as a political bargaining chip to remove rights from innocent American citizens. The inalienable right to keep and bear arms is a controversial one, but most innovative and out of the box ideas are. When one considers the right to bear arms in the broader context of world history it is easy to see how rare and precious such a right is. I have a real concern that someone whose death may have been in effect an action of someone unlawfully removing the liberty and right to life of another may be utilized to remove another right from citizens who had nothing to do with the alleged crime. It is deeply disturbing when tragedies such as this plague a free society. But that being said, it is a free society, and to ensure that it remains that way we cannot extract justice for an unjust slaying by infringing on the liberties of others even if it means that once and while some psycho will abuse that liberty in the way George Zimmerman appears to have. I personally do not own a firearm, and I don’t at all like it when irresponsible people take possession of lethal weapons but my rights being removed is something I like even less.